UK-based auto maker Jaguar Land Rover (JLR) has developed a system that projects the direction of travel onto the road ahead of self-driving vehicles, to tell pedestrians and other road users what it is going to do next. JLR has developed the new indication system as part of research into how people can develop their trust in autonomous vehicle (AV) technology. 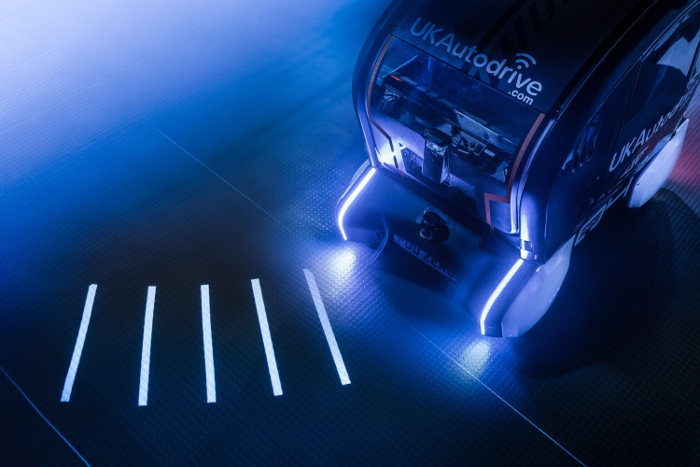 The trust research is just one part of JLR’s involvement with the UK Autodrive project, which aims to support the introduction of self-driving vehicles onto the country’s roads. The intelligent technology beams a series of projections onto the road surface to show the future intentions of the vehicle, such as stopping and turning left or right. In the future, the projections could even be used to share obstacle detection and journey updates with pedestrians. The projections feature a series of lines or bars with adjustable spacing. The gaps shorten as the pod is preparing to brake before fully compressing at a stop. As the pod moves off and accelerates, the spacing between the lines extends. Upon approaching a turn, the bars fan out left or right to indicate the direction of travel. 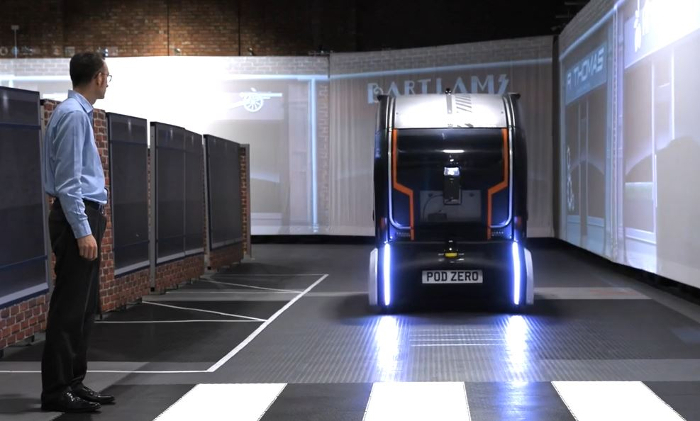 The direction projection system has been tested on autonomous pods developed by Aurrigo, the AV division of RDM Group, a Coventry-based company that is developing first- and last-mile transportation solutions. Trials were set up by a team of advanced engineers, working in JLR’s Future Mobility division, supported by cognitive psychologists, after studies showed 41% of drivers and pedestrians are worried about sharing the road with automated vehicles. 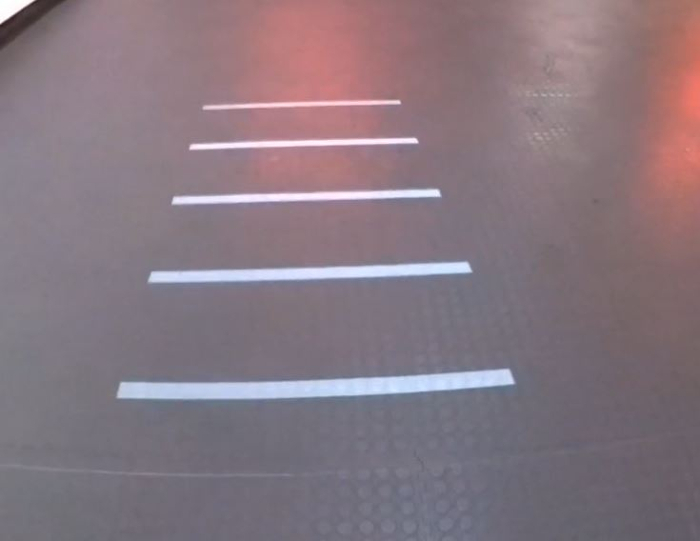 The innovative system was tested on a fabricated street scene at a Coventry facility, with engineers recording trust levels reported by pedestrians both with and without projections. The trust trial program also included fitting of ‘virtual eyes’ to the intelligent pods in 2018 to see if making eye contact improved trust in the technology.